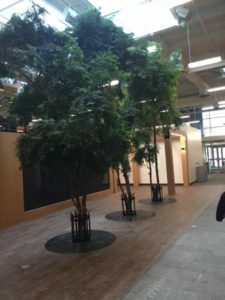 Family owned and operated, Tropical Plant Concepts, Inc. has been servicing the needs of corporate clients with interior landscaping services in the Greater Toronto and Ontario Areas since 1979. As a full service interior landscape company, TPC provides everything from the initial design to ongoing maintenance of beautiful interior landscapes. With over 35 years of experience, TPC takes pride in providing Reliable, Quality Custom Service. We will provide you with a FREE Initial Consultation with an experienced sales representative. We can either work with your designers or provide you with our own suggestions, keeping your budget in mind. Quotations can normally be provided on the same day, and most installations can be done within a week of approval.